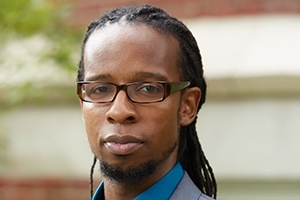 Best-selling author and award-winning historian Ibram X. Kendi will join American University this August as a professor of history and international relations in both the College of Arts and Sciences (CAS) and School of International Service (SIS), and will serve as the founding director of the new Anti-Racist Research and Policy Center at the university. Professor Kendi comes to AU from the University of Florida. In 2016, Kendi published Stamped from the Beginning: The Definitive History of Racist Ideas in America, winner of the 2016 National Book Award for Nonfiction. Stamped narrates the entire history of racist ideas and how they were created and popularized in an effort to defend deeply entrenched discriminatory policies and rationalize racial inequities. His vision of a research center that would “uncover and seek to eliminate discriminatory policies” in America and around the world was born from his work on Stamped. “The great reception toward the book has allowed me to travel the country talking about racism, talking about how our racist ideas cause us to think people are the problem instead of policies. The more I urged others to focus on the policies, the more I realized I needed to focus my own research on policies as much as ideas. The book has given me the platform to do this type of work, and I am really looking forward to doing more of this type of work at AU,” said Kendi. In October 2016, Kendi delivered a talk at SIS that inspired a partnership between CAS Dean Peter Starr and SIS Dean James Goldgeier to bring him and the center to AU. “I’m thrilled about this joint appointment and Professor Kendi’s vision for research and global policy engagement. We have been working to ensure that his proposal for an anti-racism center will find its home here at AU, and under Professor Kendi’s leadership, I believe the center will serve as a global leader for anti-racist research and policymaking,” said Dean Goldgeier. The center will bring together teams of faculty and student researchers from across the university and around the world to conduct cutting-edge, intersectional, and interdisciplinary research of racial inequality and discrimination of a national and international scope. The center’s research will explore six broad areas: criminal justice, education, economics, health, environment, and politics. The center will propose and advocate practical and precise policy correctives that reduce and eliminate racial inequality in the United States and abroad. Kendi received his master’s degree and PhD in African American Studies from Temple University, and two bachelor’s degrees from Florida A&M University. In addition to teaching at the University of Florida, he has taught at the University at Albany, State University of New York (SUNY), and SUNY Oneonta. Kendi is the author of The Black Campus Movement: Black Students and the Racial Reconstitution of Higher Education, 1965–1972, in addition to many essays, journal articles, and op-eds. His upcoming book, How to Be an Anti-Racist, will be published in 2018 by Random House.